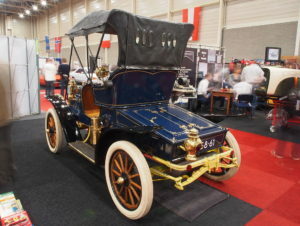 Buick enjoys a rich history of more than a century—in 1903, The Buick Motor Car Company was formed, and in 1904 appeared the first model of Buick. Right from the start of the production, Buick gained popularity with its design, features, and technology that the company always looked to improve. Buick is now GM’s only US-based semi-luxury brand, and is the fourth oldest marque in the world. 1950s mark the era of super cars in the production of Buick. Buick gained a unique style and size with plenty of room, even in the 2-door models. The characteristic form of the Buick tail lamps during 1950s was a tier of small circular bullet-shapes. Buick La saber (Buick Lesabre) is one of the best-selling full-size cars, and it was launched in 1959. Before the discontinuation of this model in 2005, Buick La Saber enjoyed history of refined elegance that made it America’s best selling full-size sedan for more than 12 consecutive years! In the early 1960s, the design of Buick became more streamlined. The famous sports-looking Buick Riviera was launched in 1963. The engine used for Buick, the V8 engine, became very popular among hot-rodders in the 1950s and 1960s, because the vertical attachment of the valve-covers enabled the engine to fit into smaller spaces while maintaining easy access for maintenance. Buick models always enjoyed special Buick accessories and Buick parts, which made them unique it for the use of hot-rodders, and also for the general public. Buick gave precisely what American market wanted at that time—it delivered, it conquered the hearts, and it triumphed! Buick has written a golden chapter in the car history of America and Buick-owners must feel proud that they bought one of the finest cars of their times! Ray Taylor has been operating the San Diego Auto since 1990. He has loved cars since he was 12 years old. He also operates auto related web sites. http://www.CarsNet.comand http://www.SanDiegoAutoSwap.com.